Apple is investigating customer complaints about WiFi connectivity issues with its newest MacBook Air laptop computers. The problems, said to affect both the 11-inch and 13-inch models, include lost wireless network connections that require users to reboot the machines in order to reestablish the connection. Many frustrated customers have taken to Apple support forums and message boards looking for answers. 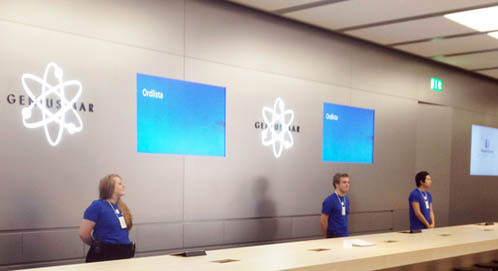 When customers schedule an appointment with an Apple Genius at an Apple store, the company has instructed its employees to take the laptops from customers so that they can be shipped to Apple headquarters and analyzed. Customers are provided with a replacement unit, and in some cases, have been given adapters that allow them to hook the device up to a wired ethernet connection. Apple has not yet commented about this issue publicly.